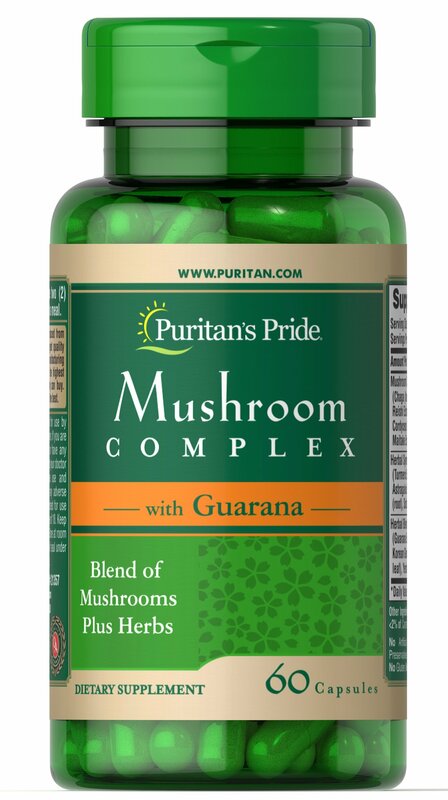 Our Mushroom Complex with Guarana is a unique blend of mushrooms and herbs that supports wellness and helps keep you feeling invigorated. 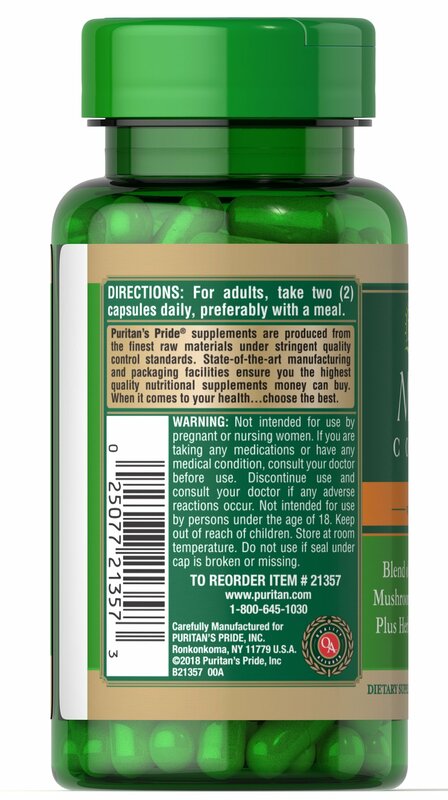 ** It contains chaga, reishi, cordycpes and maitake mushrooms. These mushrooms have long been used for their healthy properties. 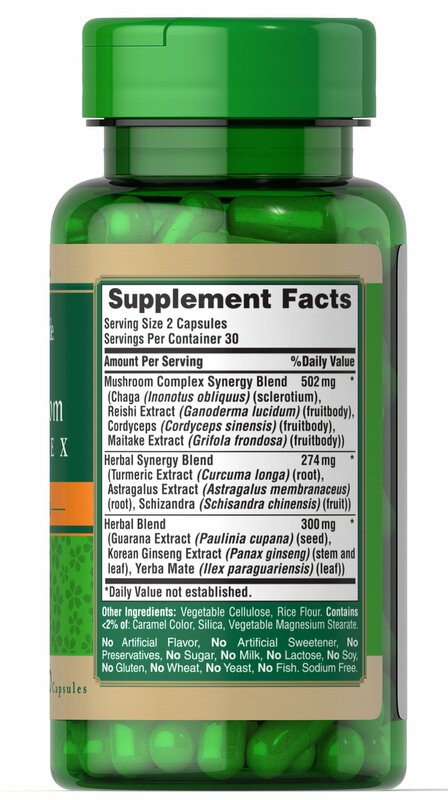 ** For example, maitake contains the beneficial polysaccharide compound Beta Glucan. Our complex also features Korean Ginseng and Guarana. Korean Ginseng contains naturally occurring ginsenosides and flavonoids, which play a role in well-being. **Guarana is an evergreen vine native to the Amazon region that is a natural source of caffeine. Gluten Free. No Artificial Flavor or Sweetener, No Preservatives, No Sugar, No Milk, No Lactose, No Soy, No Gluten, No Wheat, No Yeast, No Fish. Sodium Free.